Every year I waffle about a New Year’s post. Every year, I seem to end up doing one. A part of me really loves looking back over the past year and reflecting on the things I’ve accomplished in my crafting. I like thinking about the year, remembering certain events and making plans for the coming year. But in all honesty, I have absolutely no idea what happened in 2016 or where it went. It was a complete blur. I want to say we were so busy that I just couldn’t keep up but that’s not really true. Yes, there was lots happening and our weeks were full, but I think the blur of little children is actually what happened. We celebrated some big birthdays this year: James turned four, Norah two and my husband celebrated 35. They aren’t massive birthdays, like 16 seems to be or 50, but they are in their own right. They mark the passing of time, the energy that small kids have and the edging ever closer to goals we have made as a family. 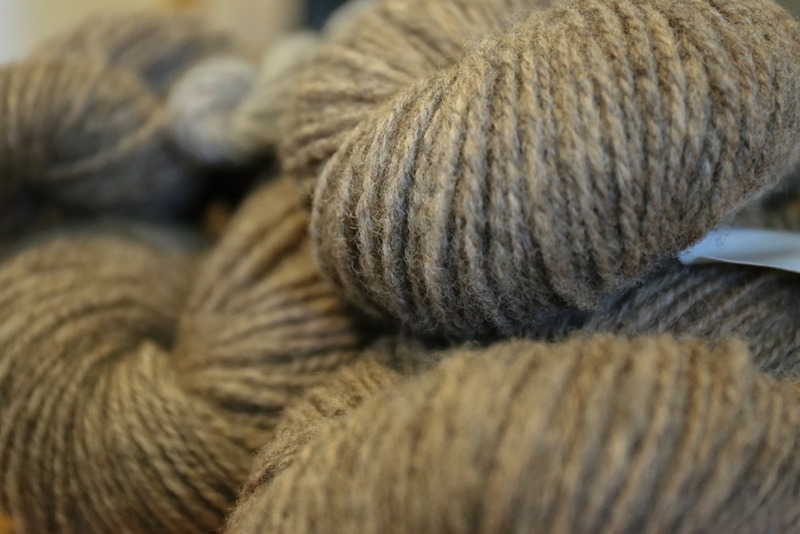 June marked the beginning of Wool n’ Spinning in a more formal way – I started the Patreon account and have been humbled again and again but your generosity, support and enthusiasm. What an amazing group of makers our community has drawn together! Highlights from 2016 (above): Our trip to the Rockies, one of our favourite places in Canada/the World, was a lot of fun! (below): Our little teardrop trailer pulling out to head home from our trip. It was a rocky start because it was hard to relax and enjoy the time away but in the end, we didn’t want to come home! 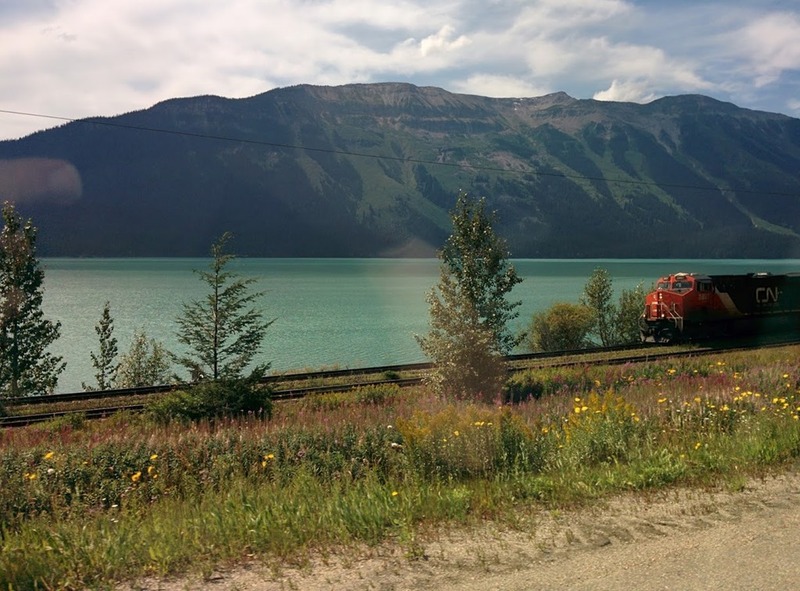 There were a few highlights from the year, including our two week trip to one of our favourite places: Jasper, Alberta. 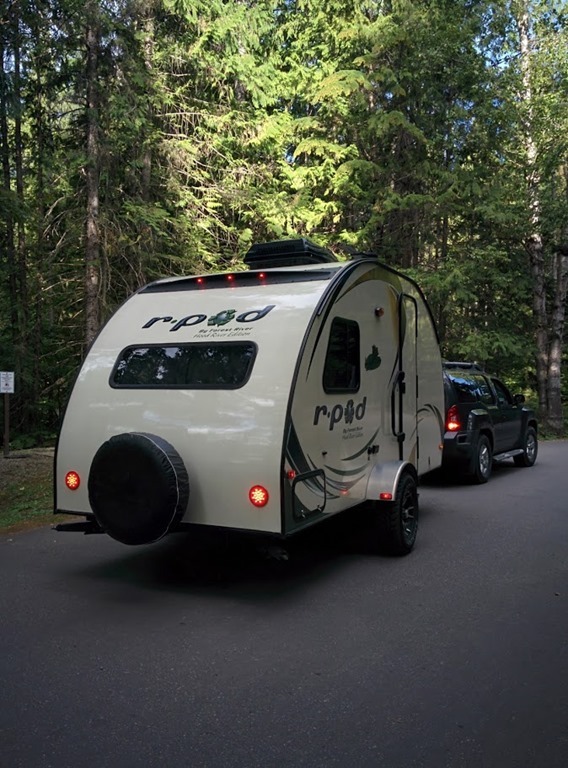 We took our little teardrop trailer and the kids had a blast – it was relaxing and fun. In the fall, some of our family travelled from Ontario to spend some time with us while my parents were away in Asia. It was good to spend so much time with them, although a little hairy because Charlotte, our eldest Golden Retriever, needed urgent surgery. I also became a SpinOlution dealer this past year. Sometimes I wish there was a way to see our whole year, laid out in front of us in like a diorama – you know, like the ones we had to make in school of a specific scene? – so that we can truly remember all the ups and downs a year really brings. I remember laughter, tears, quiet, play – lots of play, and contentment. I read … errr, listened to quite a few books, consumed lots of podcasts, read lots of blogs and even watched a few good movies. Most of that was during downtime when I was making. Final Sweater Spin of 2016 (below): CVM, Suffolk & Merino cross. That brings us to what the year was like from a making perspective! In 2016, I made a lot of things! In total, I knit 30 items and I spun 47 projects. In progress, for the end of the year, I have 4 projects that are active on my needles (or hooks – see last post) and one active spinning project (that may or may not be finished when this posts). That’s a lot accomplished! I was shocked when I saw how many spinning projects I’d made – I tried tallying up the yardage but I lost track when I got to 12,500 yards. That’s more than 12 miles! That’s a heck of a lot of spinning! 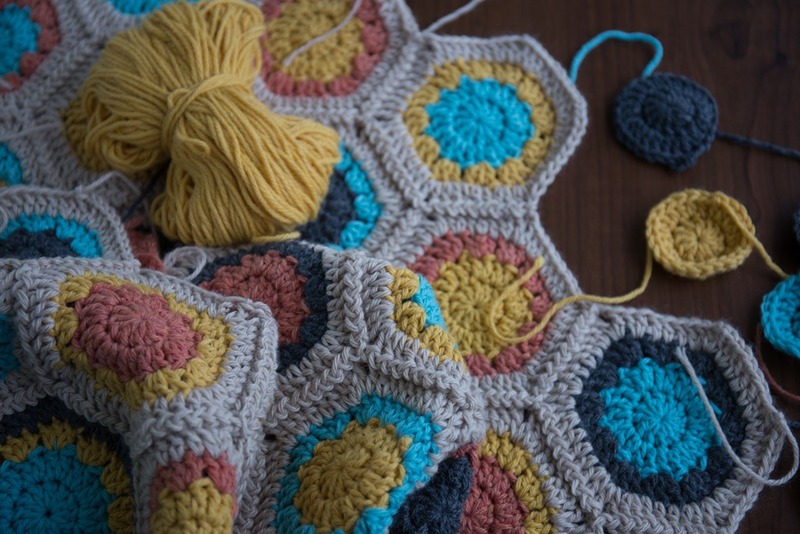 Very roughly (because the math works out to 3.9), I spun 4 projects a month. Of those 47 spinning projects, I spun 5 sweater quantities of yarn (860yrds, 937yrds, 1200yrds, 836yrds & 1060yrds). That actually shocked me. 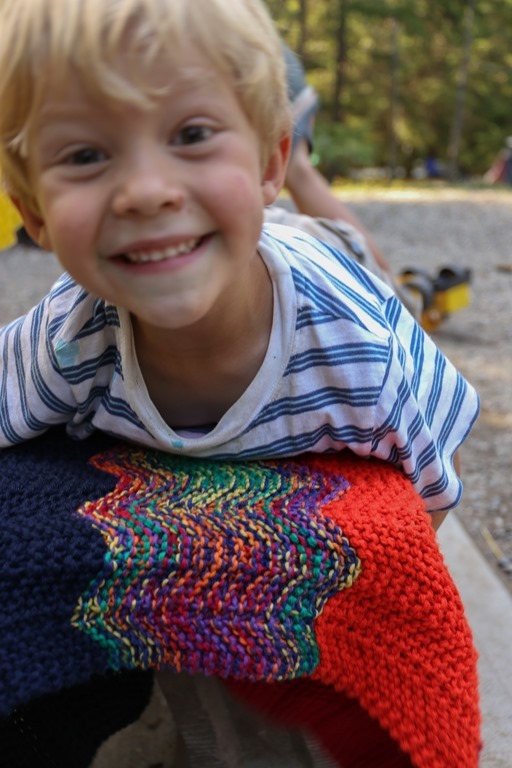 Two of those completed sweater spins were started in 2015 but only just – the bulk of spinning was done in 2016. Something that I expected, but still surprised me, was the lack of sweater knitting this year. In previous years, I’ve knit between 8 and 12 sweaters in one year. Lately, I’ve been finding myself becoming more discerning about the types of sweaters I want to wear and it has held me back from casting on anything. In 2016, I knit 5 sweaters and one is in progress. I counted one of my projects as a sweater, even though it was a vest. 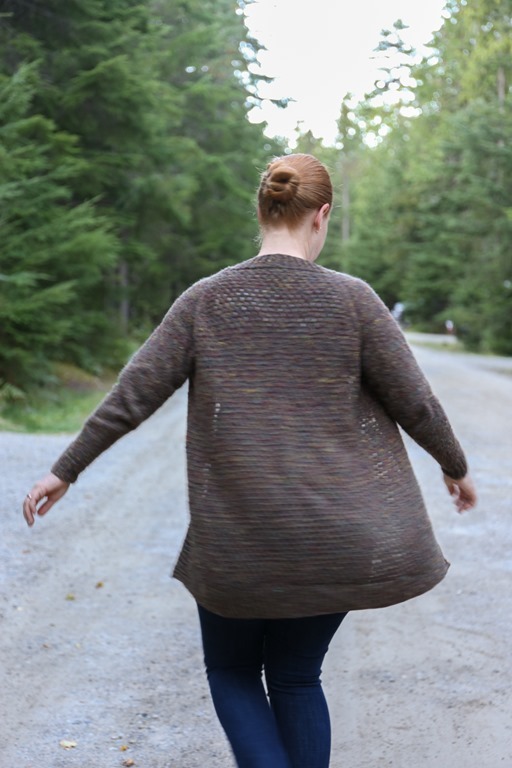 Surprisingly, I knit THREE Featherweight Cardigans this year. 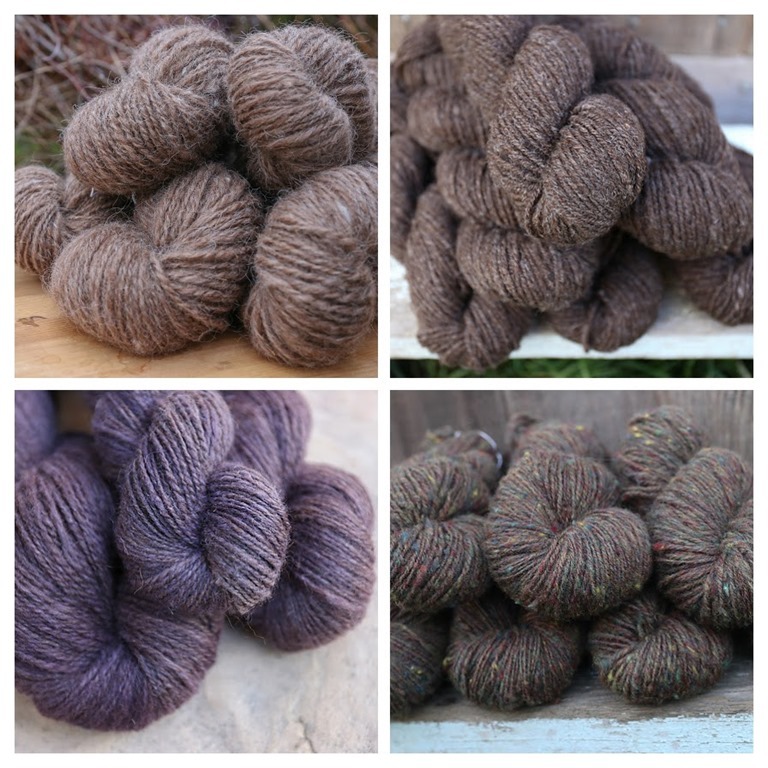 I was surprised by that – and I’m counting Rosemont as a Featherweight because they are soooo similar that it was basically the same sweater. 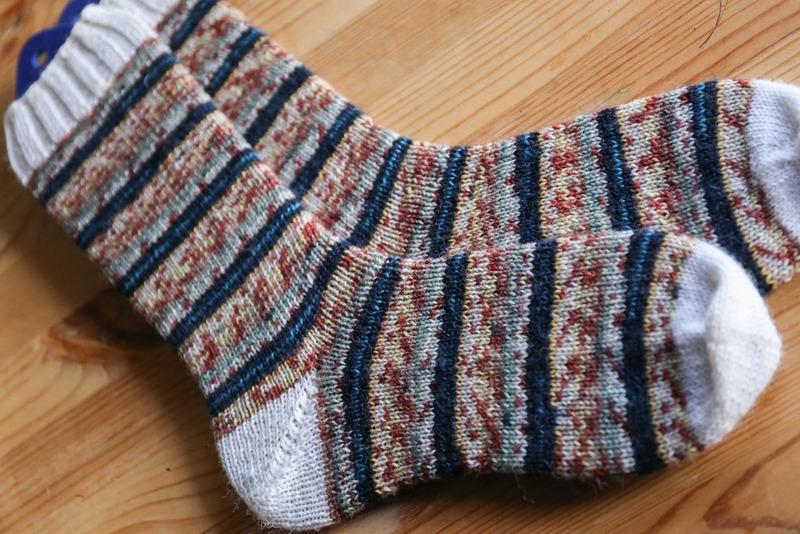 I knit 9 pairs of socks, 6 of which were from handspun. 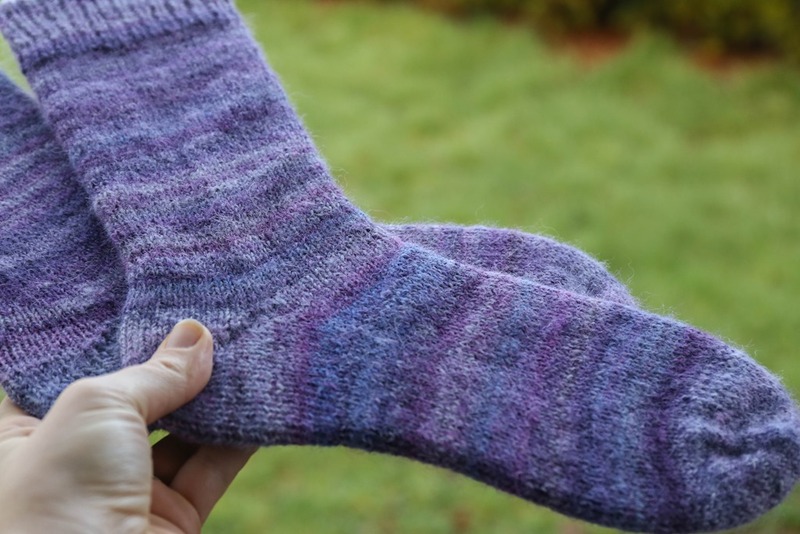 My favourite socks were my Vanilla 100 socks from Phildar because they have the most meaning but my most worn were my handspun Cheviot socks that have now been severely felted (hot water wash, cold water rinse will do that, even to the Down-type breeds). For the first time, I knit a bunch of mitts – 4 pairs to be exact, which is unusual for me. I knit 8 scarves, cowls and/or shawls. And I finished one blanket but cast on 3 more. I must be crazy! 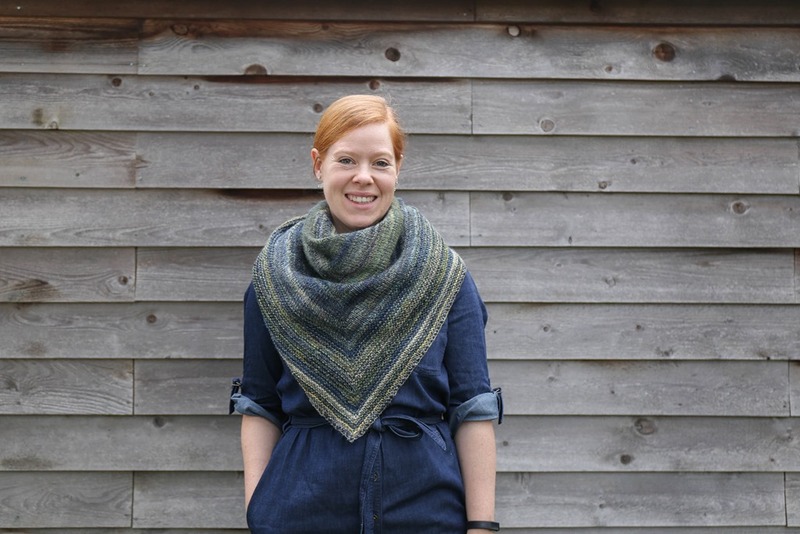 My favourite make from 2016, though, was my Vanilla Shawl from my textured yarn I spun in 2015. I have worn it a ton. It’s warm, fun and pretty much coordinates with everything I wear on a daily basis! That was a lot of making! If I spend time thinking about what I’d like to accomplish in 2017, the main thing is finishing the things I’ve started at the end of this year. I’d live to make a couple of really useful, almost utilitarian cardigans, and socks. Useful, machine-washable socks. I love wearing them. I tend to wear them daily, except in the summer, and I’d love to have a few more pairs. Any further goals than that, and I seem to get too bogged down by them! What were your favourite makes in 2016? Any particular highlights for you? Please share! This year I did much more spinning than usual. 5 whole spins in a year is actually quite a bit for me. I’m still in the midst of the Jacob and have really lost momentum there. My goal is to get back my mojo and also to make a cardigan for myself for the first time. I am in awe at your productivity level, especially as you have young children and a ‘life’ as well! You are fast turning into one of my super heroes! 2016 was only my second year of spinning and I participated in Spinzilla for the first time and used the yarn I spun to make a cardigan which has turned out to be the only thing I have ever knitted that actually fits me and that I am wearing on a regular basis. Since I am nearly 60 and have been knitting off and on for most of my life this is a major achievement. My goals for 2017 would be more of the same really. Wow Rachel your accomplishments are amazing! I haven’t looked back on my completed projects for 2016 yet but I’ll be lucky to have done even half that. I did move house in the latter half of the year though so i’ll use that as an excuse! I love your handspun featherweight, I’ve been thinking of doing another one myself and using handspun sounds like a great idea. I’ve never used handspun for socks either, but I think that’ll be one of my goals for 2017.